Come rain or shine, we’ve got this season covered with our new Summer Special! We’ve found the most flattering and money-saving swimsuits you can pick up on your supermarket shop, grab a gorgeous beach bag from £9 and rustle up a delicious meal in next to no-time with our no-cook dinners. Try our 7 day guide for a flat tum fast, treat yourself to some melt proof make-up and get gripped with our true crime mini mag. Plus, family days out for less, glam up your garden from £2.50, how to handle hayfever, we chat holidays with Dame Helen Mirren and lots more! 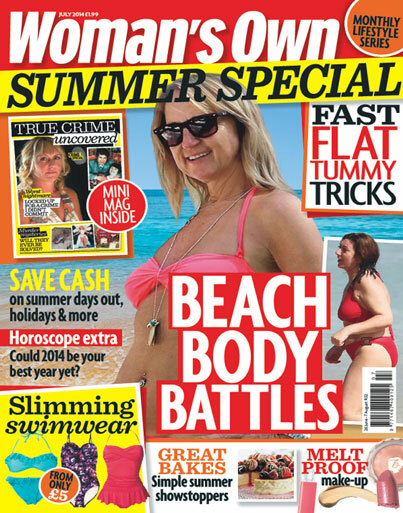 Pick up your copy of Woman’s Own Summer Special now! We’re also offering Woman’s Own readers one whole month for FREE – find out more by clicking here.